I am currently a 2nd year graduate student in a clinical psychology program and I will be graduating in December. 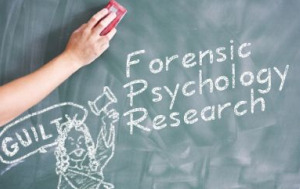 I am planning on applying to both PhD and PsyD programs specializing in forensics after I graduate. I am currently looking for forensic research in the Philadelphia, PA, New Jersey or Delaware area. I am willing to volunteer and I have experience in other areas of research, but I am having trouble finding research that is this specialized. If anyone has any suggestions, it would be greatly appreciated.